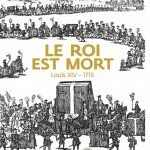 For the tercentenary of King Louis XIV (1715-2015), Palace of Versailles organize the exhibition The King is dead (Le Roi est mort in French), from 27 October 2015 to 21 February 2016. 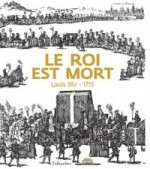 The exhibition give details of the death, autopsy and funeral of Louis XIV. Works of art and historical documents situate them in the funeral context of European sovereigns from the Renaissance period to the Enlightenment. For the first time, ceremonial portraits, funeral statues and effigies, gravestones, the manuscript for the account of the autopsy of the king, coins from the Saint-Denis Treasury, gold medals, emblems and ornaments, and furniture of funeral liturgy are exhibited in public. 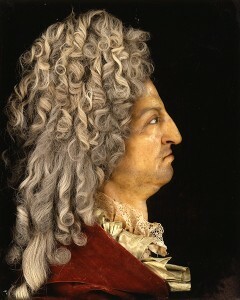 Arts works show how Louis XIV was a great king in the government, as a war leader, in diplomacy, in religion and in arts. Autopsy and embalming, ceremony, funeral convoy are presented. The exhibition is open every day except Monday (and on Thursday 25th December 2015 and 1st January 2016) from 9:00am to 5:30pm (last entry at 4:45pm). Admission included in Palace tickets. A free audio guide, from 8 years of age, is available in English to provide a better understanding of the exhibition. 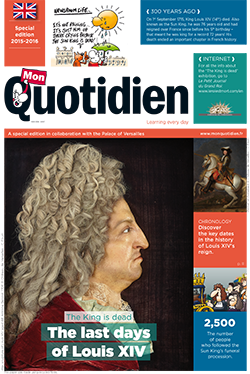 You can free dowload the Game bookled : Le Petit Quotidien, in english, for kids. This Summer 2015, from 9th June to 1st November, the Indian artist Anish Kapoor exhibits its work in Palace of Versailles and its gardens. Anish Kapoor is born in 1954 in Mumbai. He studied art in England at Hornsey College of Art and at Chelsea School of Art and Design. 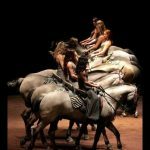 He lives in London and is considered as a great sculptor. Its artwork deal with the monumental and the opposite inside/outside, between the architecture and the red color organic forms (like red muscles, veins and tendons in the human body). 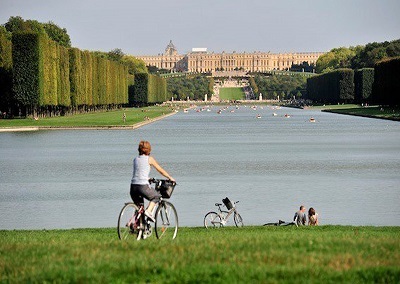 To best enjoy the Park of Versailles’ Palace, you can walk and run, have a bicycle or Segway® tour around the Grand Canal. 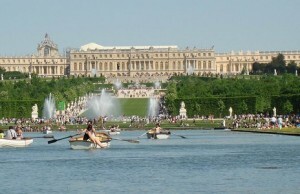 You can also discover the Palace of Versailles from differents viewpoints by sailing on the Grand Canal. 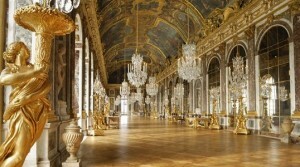 Confortably sitting, you can joint the Palace to Trianons by little train or with an electric car. Rental points in Palace of Versailles: Petite Venise (all week long), Saint-Antoine’s grid (Grille de Saint-Antoine) on boulevard Saint-Antoine, Queen’s grid (Grille de la Reine) on Boulevard de la Reine (only weekends and holiday days). February & March : 10:00 a.m. to 5:30 p.m.
April to October: 10:00 a.m. to 6:45 p.m.
November: 10:00 a.m. to 5:00 p.m.
Monday to Friday from 7am to 10am and from 4pm to 8pm. In July and August, it’s open on Saturdays and Sundays from 11am to 6pm. 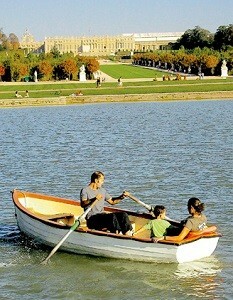 Sitting in your boat, you do the same thing as the court of Louis XIV. Under the Old Regime, nobility sailed here calmly. To impress foreign ambassadors, the minister Colbert created a real war fleet in miniature. 4 people maximum per boat (or 5 including children). Adult presence required and identification papers deposit. 30 minutes: €12 / 1 hour: €16. To full enjoy it, I advice you to hire the boat for 1 hour. * March: from Monday to Friday from 1:00 p.m. to 5:30 p.m. Weekends and holidays from 11:00 a.m. to 6:30 p.m.
* April: from Monday to Friday from 12:00 noon to 5:30 p.m. Weekends and holidays for 10:30 a.m. to 6:30 p.m.
* May & June : from Monday to Friday from 11:00 a.m. to 6:45 p.m. Weekends and holidays from 10:30 a.m. to 6:45 p.m.
* July & August: Daily from 10:00 a.m. to 6:45 p.m.
* September: from Monday to Friday from 1:00 p.m. to 6:45 p.m. Weekends from 10:30 a.m. to 6:45 p.m.
* October: from Monday to Friday from 1:00 p.m. to 6:45 p.m. Weekends from 10:30 a.m. to 6:45 p.m.
* November: from Monday to Friday from 1:00 a.m. to 5:00 p.m. Weekends from 10:30 a.m. to 5:00 p.m.
* Closed annually in December, January and February. On Segways®, you can have an historical and sporting guided tours (french, english and spanish speaking) around the Grand Canal (5,5 km). €35 for 1 hour, €45 for 1h30 or €55 for 2 h [student rate: 10€]. 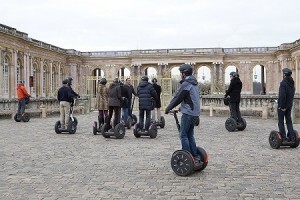 The Segway® allows you to move about 15km/h. 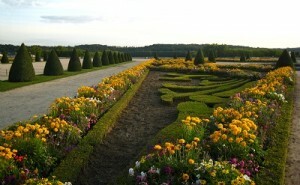 It’s perfect to visit easily the Gardens of Versailles. Training will be provided upon arrival. Riders must have to be over 134 cm tall and over 45kg. Participants should not be pregnant. 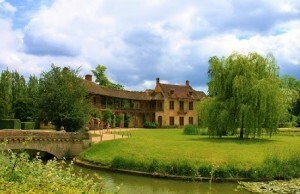 By group of 8 people, from 10 a.m. to 6 p.m.
Departure at rue de la Paroisse, near the Neptune Fountain. Little train to go from North Terrace to Estate of Marie-Antoinette (Petit Trianon and Grand Trianon) and Grand Canal (Little Venise), and return. (+33) 1 39 54 22 00. Totally tour : 5 km / about 50 min. 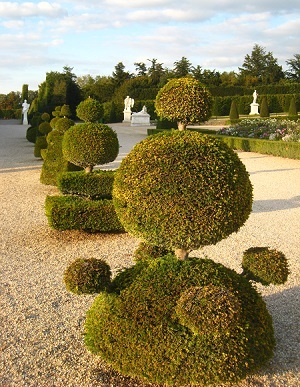 * Trianon Tour : from Palace of Versailles (North Terrace) to Petit Trianon and Grand Trianon (Marie-Antoinette’s Estate) for 15 min to go. 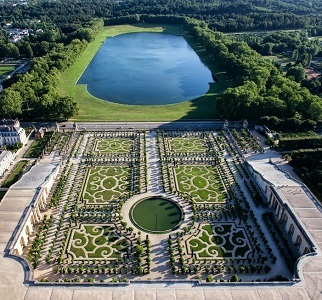 * “Promenade” Tour : from Palace of Versailles (North Terrace) to Love’s Temple (Temple de l’Amour), Petit Trianon and Grand Trianon (Marie-Antoinette’s Estate), Grand Canal for 40 min. Visitors can get off the little train at every stop and board one of the next trains with the same ticket. €7,50 adult / €5,80 young (11-18 years old) / Free for kids under 11 years old. 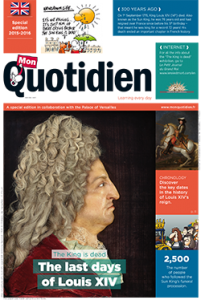 Optional historical commentary by audioguide in 8 languages: €1,50. January: 11h30 a.m. to 5h00 p.m. (no train on Monday). February & March: 11 a.m. to 5h00 p.m. (Feb.)/5h30 p.m. (March)/ 5h00 p.m. (Monday). From April to September: 10 a.m. (10h30 on Monday) to 6h15 PM/5h00 p.m. (Monday). October: 10h30 a.m. (10h40 on Monday) to 6h00 PM/ 5h00 p.m. (Monday). 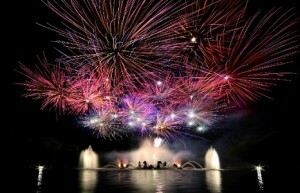 Caution: days of Fountains Night Show (Grandes Eaux Nocturnes), the little train service stop earlier. Kids tips: To have an enjoying pause and continue to visit in the same time, you can take the mini-train for a tour of huge Domain of Versailles (800 hectares). 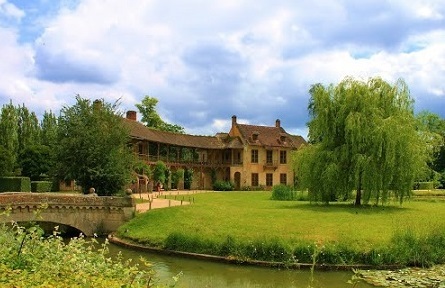 By rainy weather, you can safety go to Estate of Marie-Antoinette (Petit Trianon and Grand Trianon), 1,5 km for from Palace of Versailles. 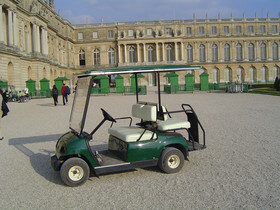 Electric car to follow 5 itineraries: discover the Gardes, Queens’Hamlet and the Trianon, tour of the Grand Canal (5,5 km), tour of the entire Estate. 24 years old for minimum age of driver and you have to deposit driver’s license to rent. (+33) 1 39 66 97 66. €32 for 1 hour, then €8,50 per additional quarter hour. February / March : from 10:00 a.m. to 5:30 p.m.
April to September: from 10:00 a.m. to 6:45 p.m.
October: from 10:00 pam. to 6:45 p.m.
November / December: from 10:00 a.m. to 5:00 p.m.
Where can I park my car at Palace of Versailles? If you come by car or with a camper, you have to park it during you visit or your holiday at Domain of Versailles. Find in this page some informations about car parks (Parking). Parking Place d’armes, just in front of Palace of Versailles. During the day, you can park your camper on the Parking Sceaux. 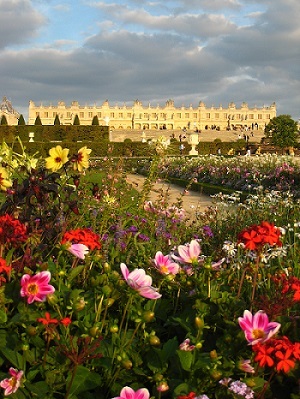 For the night, campers have to go to Versailles’ campsite (camping de Versailles) : Huttopia [ (+33)1 39 51 23 61]. 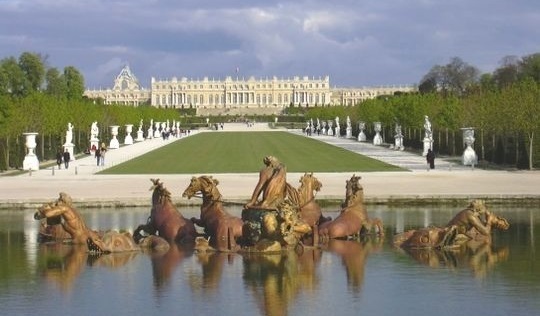 How Getting to Palace of Versailles from Airports? How Getting to Palace of Versailles from Paris? 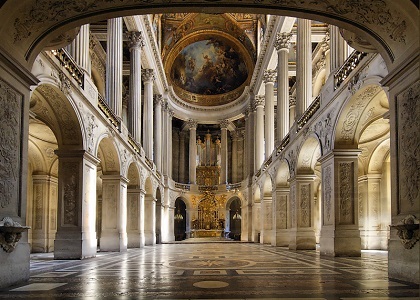 Domain of Versailles is located in southwest side of Paris. From Central Paris, take RER C (yellow line), in Direction « Versailles-Rive Gauche ». 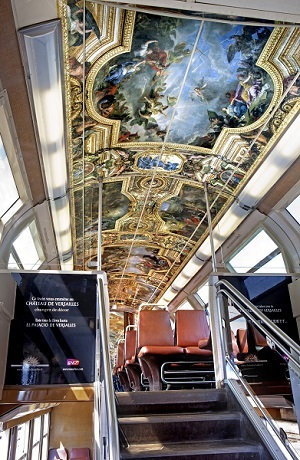 The Arrival Station is « Versailles-Rive Gauche ». From Eiffel tower (Champ de Mars Tour Eiffel station) to Versailles-Chateau-Rive Gauche Station, it’s 26 min long. After the travel, from the Station to the Palace, you walk during only 7 min. From « Montparnasse » Station, you can take the SNCF trains. 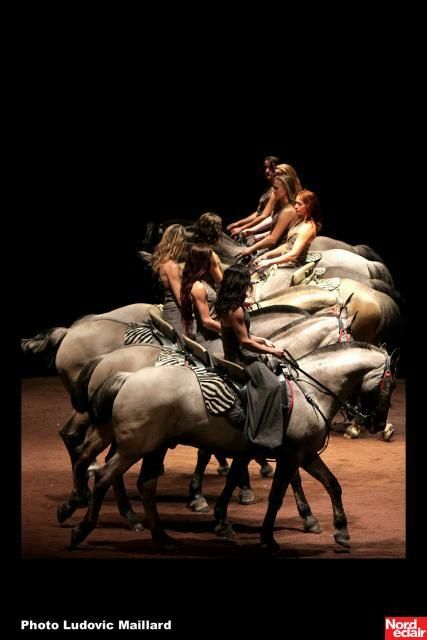 Direction Rambouillet. 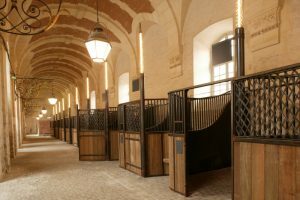 The Arrival Station is « Versailles Chantier » Station. It’s 27 min long. After the travel, from the Station to the Palace, you walk during 10 min. The ticket costs €3,45 for adult / €1,70 for kids under 10 years old / free for kids under 4. Be careful, Ticket t+ is not available for this travel. From « Saint Lazare » Station, you can take the SNCF trains. Direction and Arrival Station : « Versailles Rives-Droite » Station. It’s 28 min long. After the travel, from the Station to the Palace, you walk during 10 min. 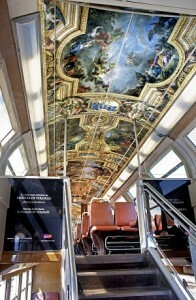 From the Center of Paris, to go to Palace of Versailles by RATP’s bus, you will have to take the metro. Take the Metro line 9 (green line) to Pont de Sèvres Station (last station of the line 9). 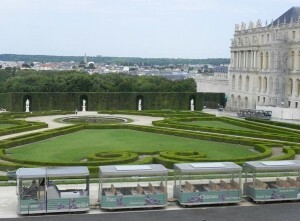 Catch the bus n°171 until Palace of Versailles (the end of the line). Versailles Express transfers to Palace of Versailles from the Eiffel Tower in Paris. Travellers takes the bus at « Port de Suffren », nearby the Seine (boat company « Vedettes de Paris »). 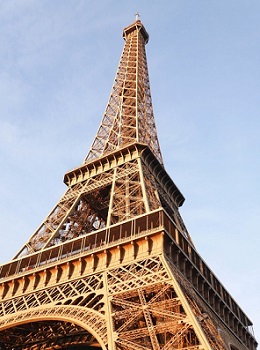 Schedules (Tuesday to Sunday) : Departure at 2:00 p.m. / Return to Paris (Eiffel Tower) at 6:00 p.m.
To return to Paris, there is a taxi rank just outside the Palace : avenue de Paris. 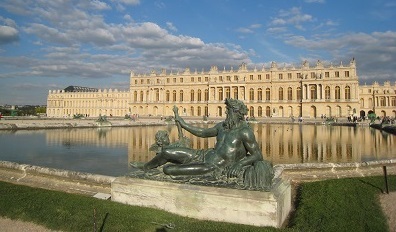 You decide to travel to France and visit Versailles’ Palace (château de Versailles) with your kids. 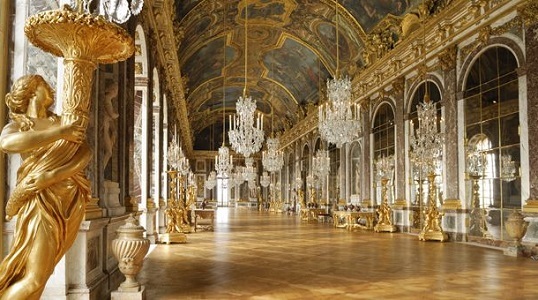 How many days do I need to visit Versailles’ Palace? You have any other questions or remarks. Don’t hesite to contact me. If you are interested in any other place to visit, let me know.